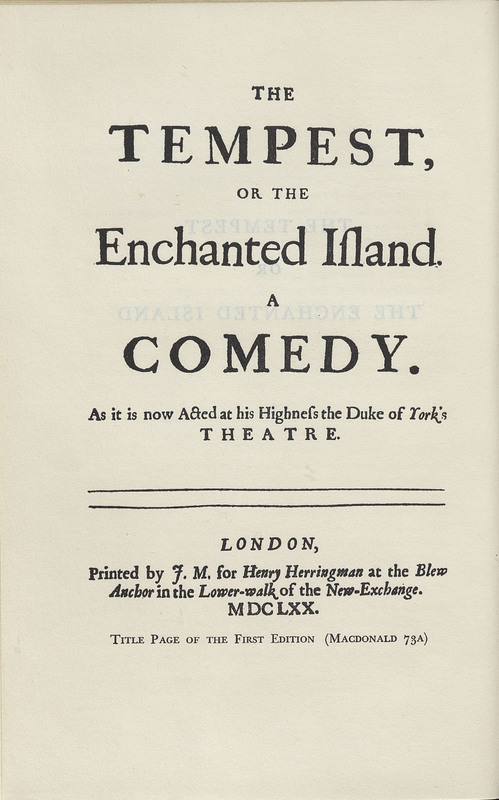 Sir William D’Avenant, an English poet and playwright who saw himself as a “literary son” of William Shakespeare (1564-1616) and John Dryden, England’s first poet laureate, collaborated on this adaptation of Shakespeare’s comedy The Tempest. These three playwrights would have been known to the literary circle of Daniel Defoe, who seems to have borrowed some of their themes for the deserted island in Robinson Crusoe. In the Crusoe chapter describing “savages” landing on the island, the new visitors indicate that it appears to them that they are on “an enchanted island” because they fear spirits that may exist on a deserted island. 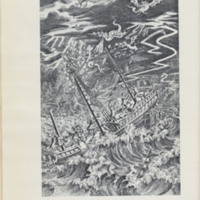 This theme of spirits on a deserted island populated by shipwreck survivors resembles the plot in both Tempest plays. John Dryden (1631-1700) and Sir William D'Avenant (1606-1668). The Works of John Dryden. Vol. 10. Plays. 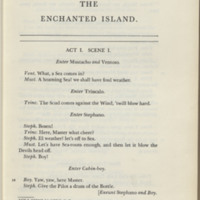 The Tempest, or The Enchanted Island. Berkeley: University of California Press, 1970.